It's fall and getting cooler once again. As it has been in past years, that means my skin is changing and getting DRY. I know that that the simpler the routine, the better, for me. I'm talking about skin care. A few weeks ago, my skin started to rebel. Why wouldn't it? I am sent, on average, 8-10 facial products per week for the purpose of trial and review. Of course, I do not review all at the same time. When I try so many new things, even spaced out over time, my skin can get angry with me. A few weeks ago I wanted to cry. My skin started itching, getting red, irritated, and just ticked off at me for wreaking havoc in its routine. Essential oils were causing redness, anything with more than 10-15 ingredients has been a trigger. This has resulted in some changes to my routine--a return to the basics. To what works and is gentle. Here are my thoughts on "the basics." I looked back at my own product usage and results over time in terms of the most basic cleanse/tone/moisturize routine. I'm not counting serums or eye care right now. I returned to what always has worked in the past--fragrance free, as natural as possible, and with few ingredients. I am happy to report that my routine is working once again and my skin is no longer mad at me. I've gone back to the double-cleanse. I remove my makeup with oil. 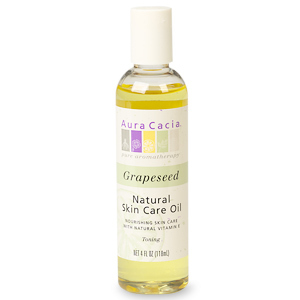 Right now, I am using pure grapeseed oil. 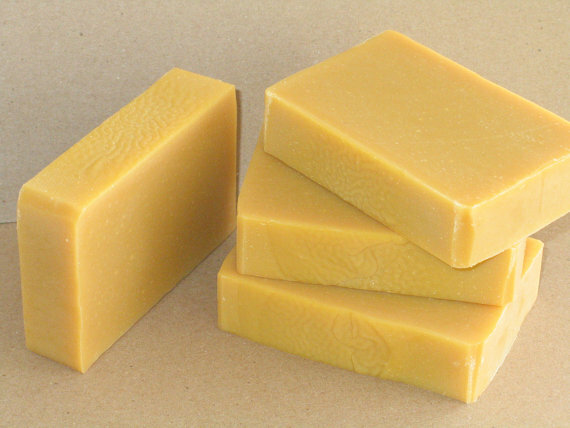 After I remove my makeup and wipe away the residue and splash with water, I follow with an old standby--Aunt Nancy's Carrot Goat's Milk Soap ($6). Next, I use Thayer's Alcohol-Free Cucumber Witch Hazel with Organic Aloe Vera ($7.99). It is the most soothing toner ever and makes my skin feel clean and takes away any itchiness. I used to use the Rosewater formula of Thayer's, but the rose parfum in it started to irritate my skin. This formula contains no added fragrance. In the summer, I simply use Dickinson's Witch Hazel, but my skin is much more oily then. Lastly, I continue to stick with my favorite cream: (seed) Simply Fragrance Free Healthy Hand Cream. It's not marketed as a face cream, but it is the perfect recipe and blend of ingredients for dry skin. This one also retails for $7.99. Each of these products is well under $10 and will work beautifully without irritating the skin and breaking the bank! You do not have to spend $20, 30, or $40 for each item to have healthy and glowing skin. The total for the 4 products I am using is right around $30. All are paraben free, sulfate free, palm oil free, fragrance free, phthalate free, and free of other nasties.